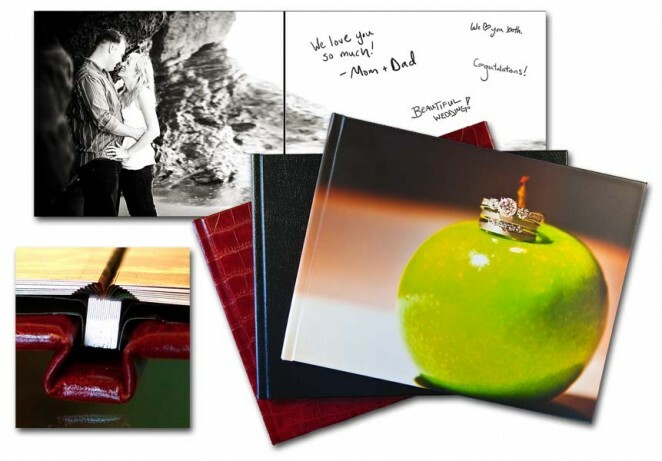 Turn your engagement pictures into a Yearbook-Style Guestbook for your family and friends to sign at your reception. The Yearbook-Style Guestbook includes 20 lay-flat pages (40 sides) and comes in many different cover styles such as classic leather, exotic, and vintage leathers. Photo covers and fabric covers are also available.